Small hotels in Tel Aviv are becoming increasingly popular. 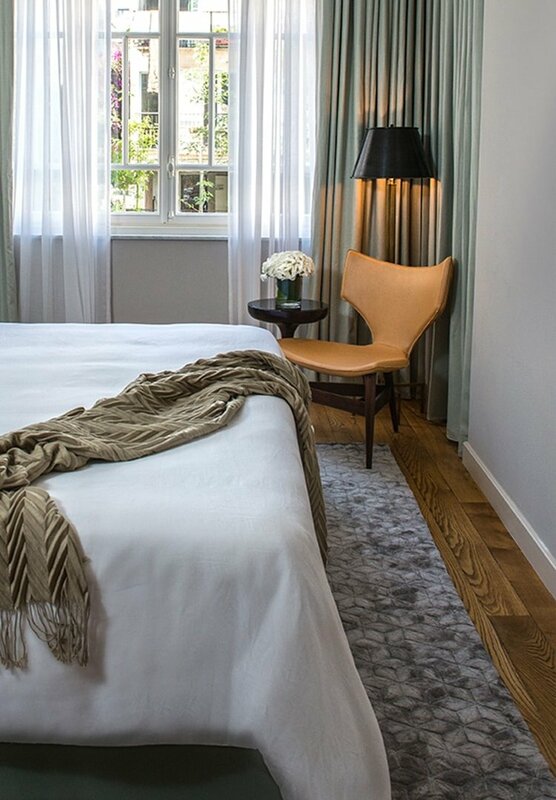 But when it comes to luxury boutique hotels, The Norman hotel is the first luxury boutique hotel in Tel Aviv that represents the core elements of what it truly means to be a boutique hotel; a historic building; a strong design ethos; and exceptional, personalized service delivery. Located in the heart of a UNESCO heritage site, The Norman hotel has become the leading choice for guests looking for the very best in dining and the facilities of a big luxury boutique hotel in Tel Aviv, including a rooftop pool, in a stunning boutique setting. Featured on Conde Nast Travelers Gold List for both 2017 & 2018, The Norman hotel is the only hotel in Israel to have made such a staggering mark on the international hotel stage. With just 50 rooms and 9 categories, there is a very wide selection of luxurious rooms and suites. Individually designed yet all featuring contemporary art pieces, hand-picked and in some cases hand-made furniture and historical accents. The suites allow for pampering in-room treatments too. Wellness is key to The Norman hotel experience. A heated rooftop swimming pool and sundeck is located close to the Wellness area where guests can enjoy a wide selection of health and beauty treatments, a gym, detox juicing program and personal trainer. A hotel that caters to business guests too, The Norman hotel in Tel Aviv has a fully equipped Boardroom, private dining room and elegant conservatory, suitable for a number of event styles and formats. Additionally, The Library Bar has become a firm favorite with local business and leisure guests looking for a quiet spot to hold a meeting or enjoy lunch. Art lovers will adore this luxury boutique hotel in Tel Aviv, and it’s contemporary art collection featuring well known Israeli artists including Sigalit Landau and Tsibi Geva, that is displayed throughout the hotel. And when it comes to feasting, The Norman hotel has that covered too. Dinings, the Japanese tapas restaurant on the rooftop and Alena Restaurant that occupies the gorgeous terrace between the gardens. Both of these restaurants have won accolades that secure their place as the most sought-after and trusted restaurants amongst Tel Aviv’s growing foodie scene. Bolstered by an exclusive wine collection that was awarded the Best Wine List in Israel in both 2017 & 2018. Excellence comes in many guises, especially at The Norman.